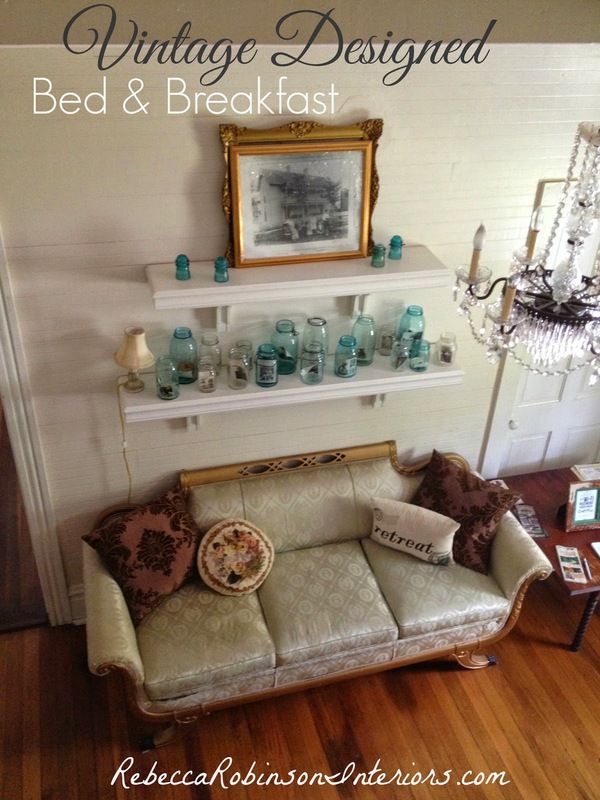 Today I want to Highlight one of my favorite Bed & Breakfast Getaways. 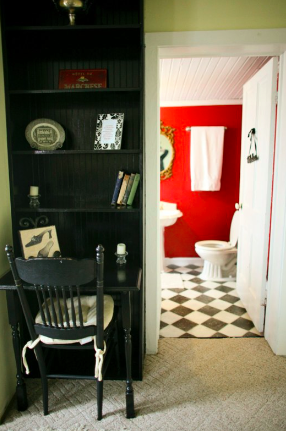 I love when Historical Homes are Restored! 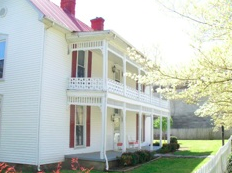 Petticoat Junction Retreat House and Scrapbooking Haven is located in Normandy, TN. It is about an hour outside of Nashville located in a quiet small town. 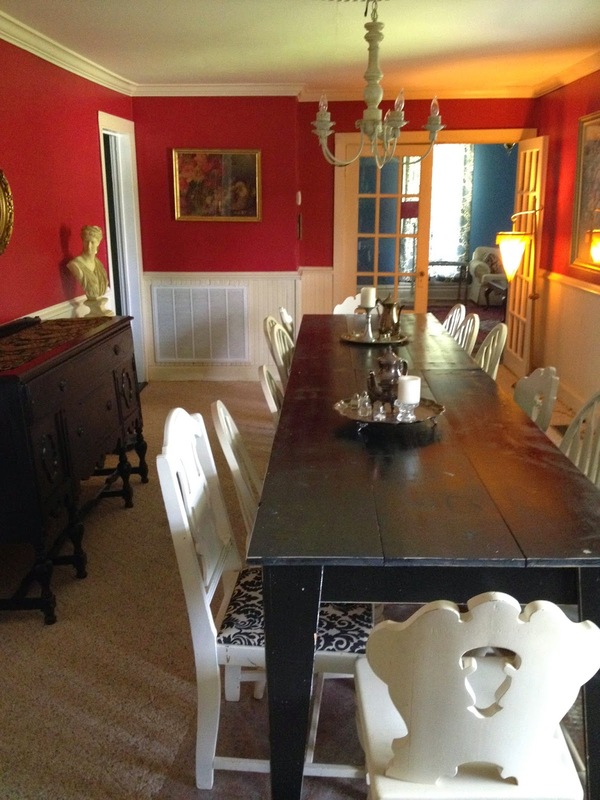 The owner, Bonnie Esslinger took this house from disrepair to polished beauty! 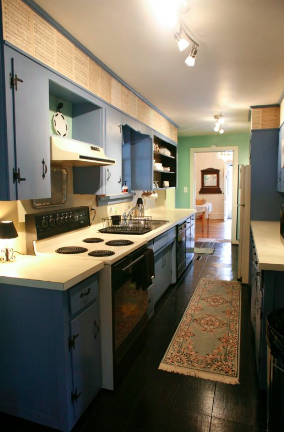 She gutted and reimagined this house from top to bottom. 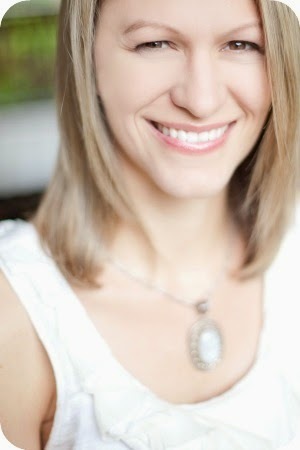 It is a perfect "girls getaway weekend"! Now let me show you inside this beautiful Victorian. 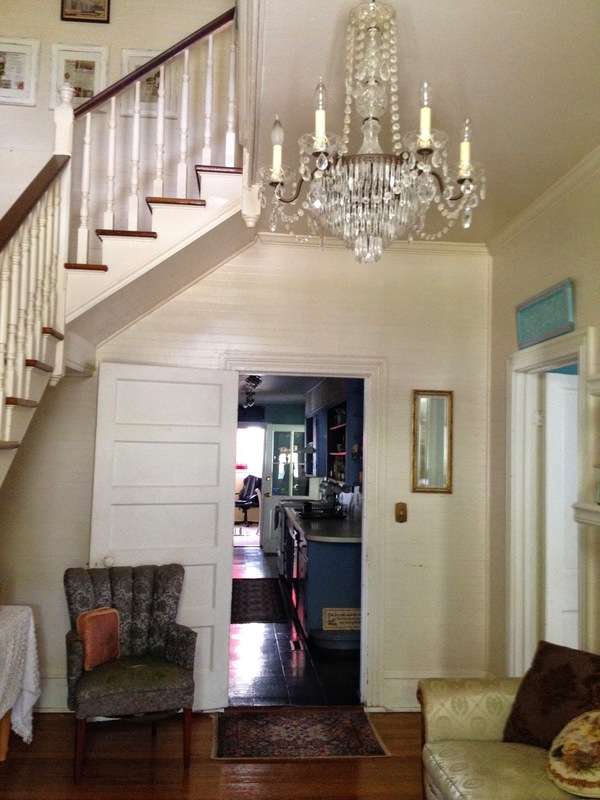 Upon Entering the home you are greeted with the open foyer and staircase. The creamy walls brighten the space and set an elegant tone. painted in a Periwinkle Blue with sheet music above for a header. Details are important and add so much personality! them out to match. 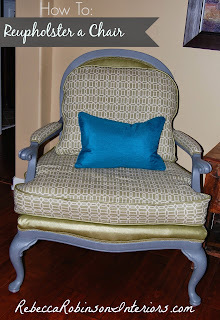 Color then becomes the common thread to this Eclectic style. The food is always great at Petticoat!! The cook comes and caters to your group all weekend. The food varies, but has an emphasis on southern comfort. No one ever goes hungry! 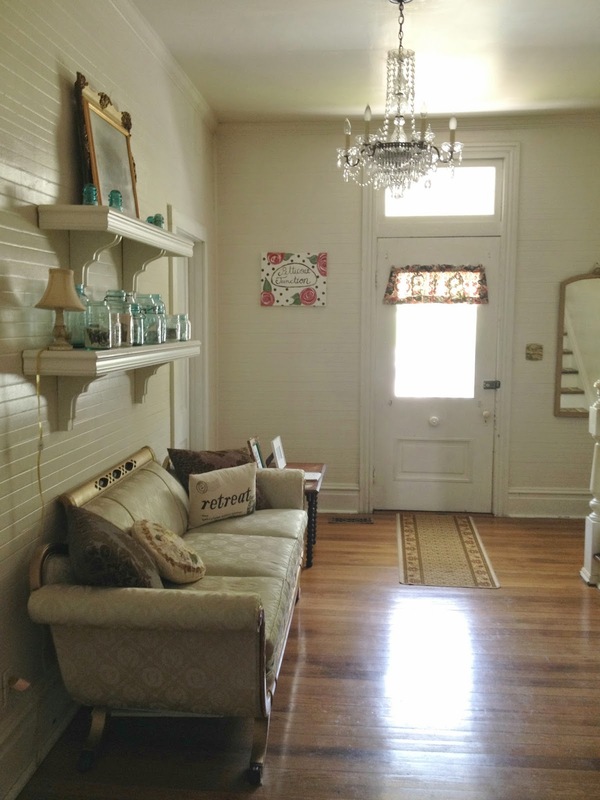 While Petticoat Junction is advertised as a scrapbooking retreat, it could be a place for family reunions, girls weekend getaway, and of course all things crafty! There is room for 15 guests to stay the weekend. The 4 large rooms are cleverly themed in their decor. 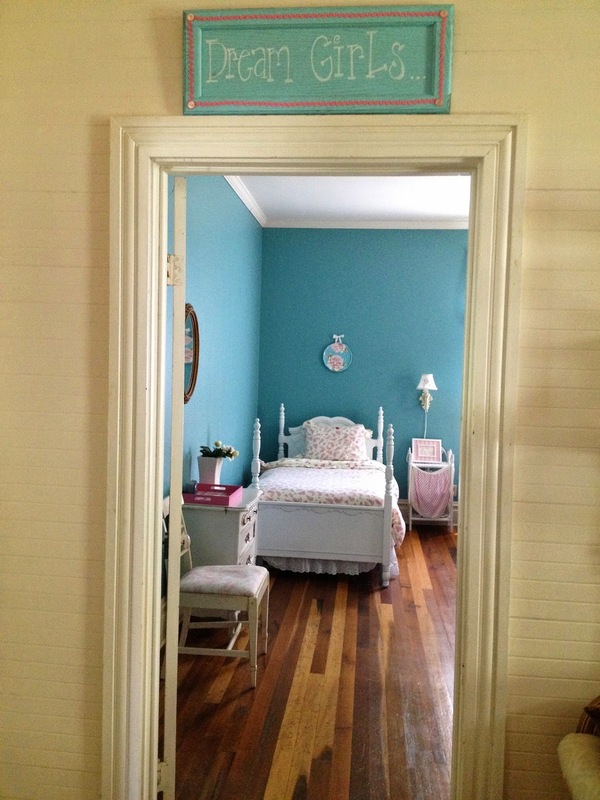 Every Room has a sign on the door. 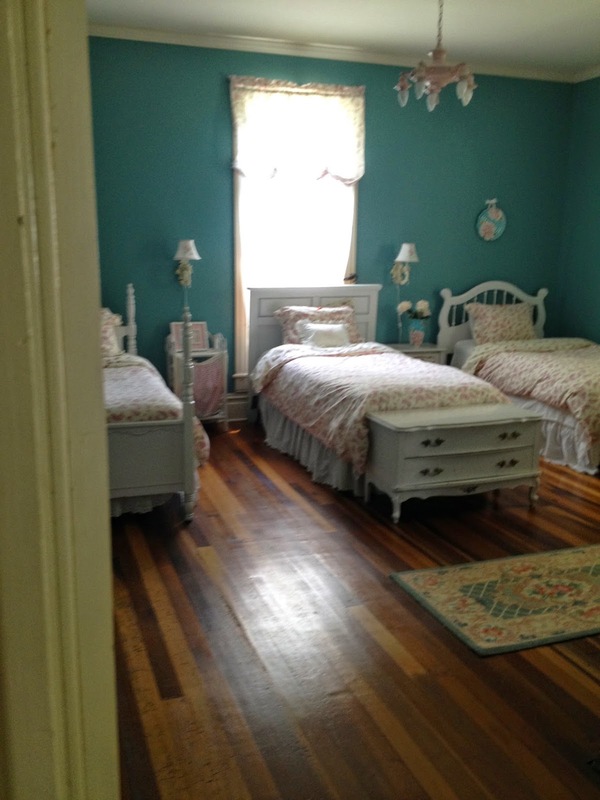 This is the 'Girly Girls' Room. 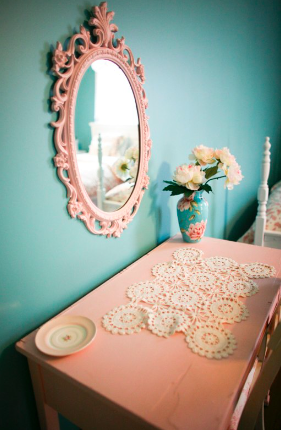 to the soft pink florals used throughout this room. 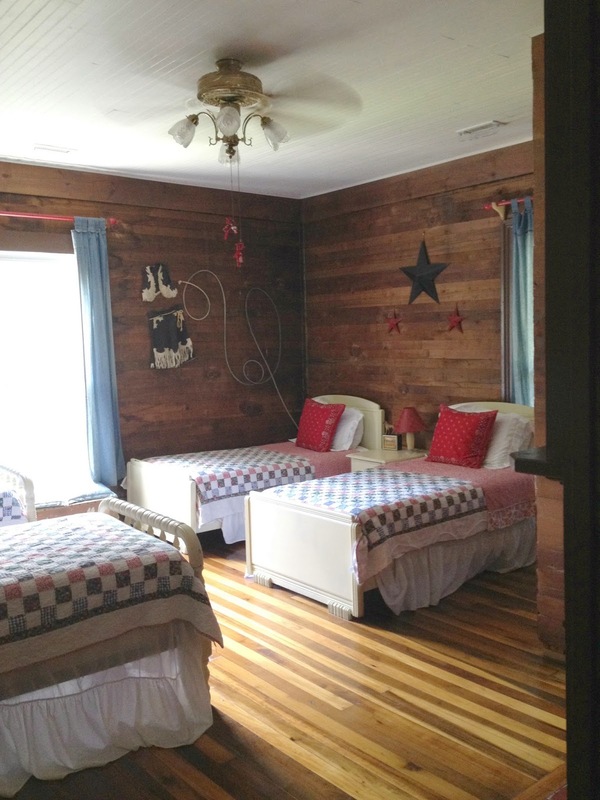 The 'Cowgirls' Room shows off its Rustic charm with rich reds and dusty blues. Red Paisley accent pillows make the room pop. while the rope and stars help accentuate the theme. The last bedroom is called 'Glamour Girls'. The black and white patterns promote a Hollywood Glamour look. Punches of Red are added to this this contrasting palette. 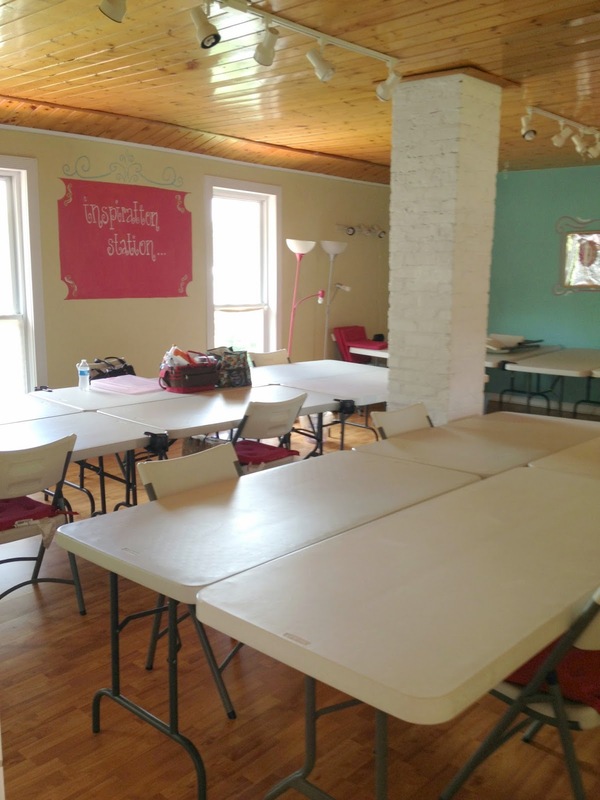 The 'Inspiration Station' Room is a Crafters Dream! 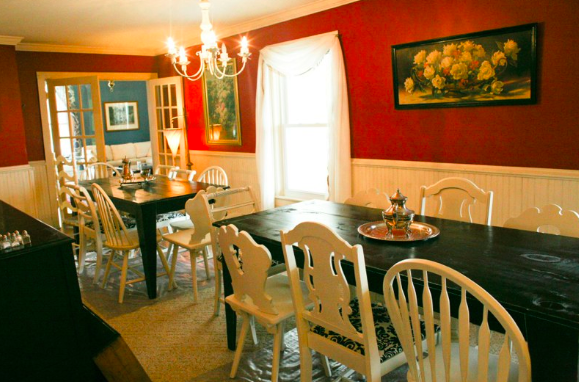 In this 30'x19' room you have your own table to spread out for the whole weekend. They have crafters tools, wifi, internet, color printers, and a stocked fridge so you can Crop til you drop! The craft room has a balcony off the room for fresh air. 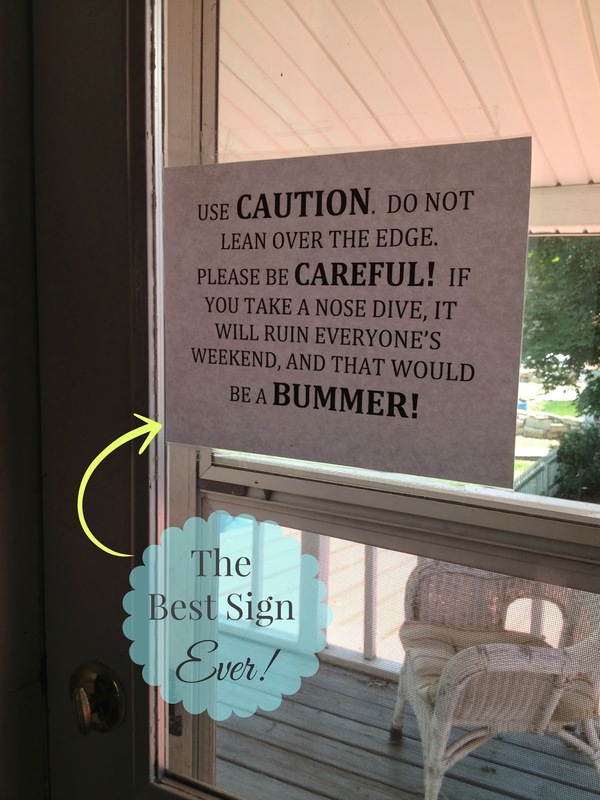 And you have to love the sign! 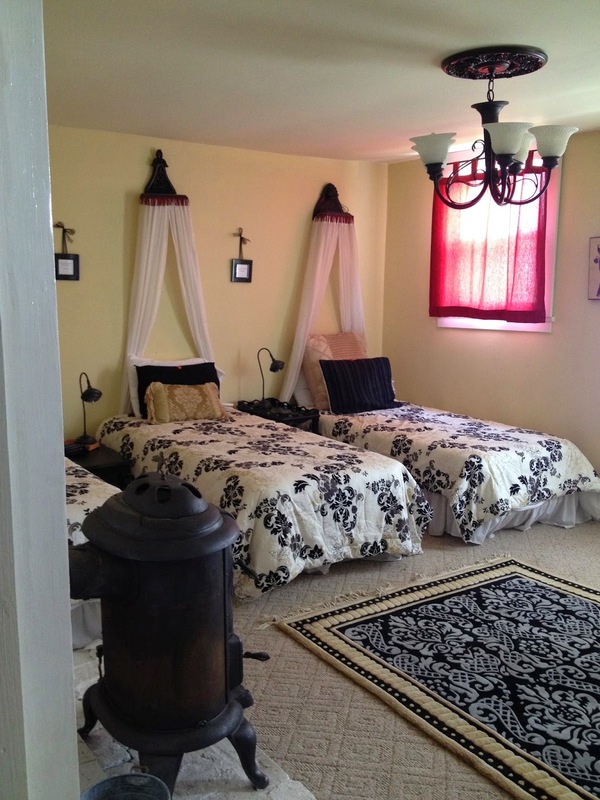 Last but not least, this Bed & Breakfast has options for pampering. You can book a massage, pedicure, or manicure. 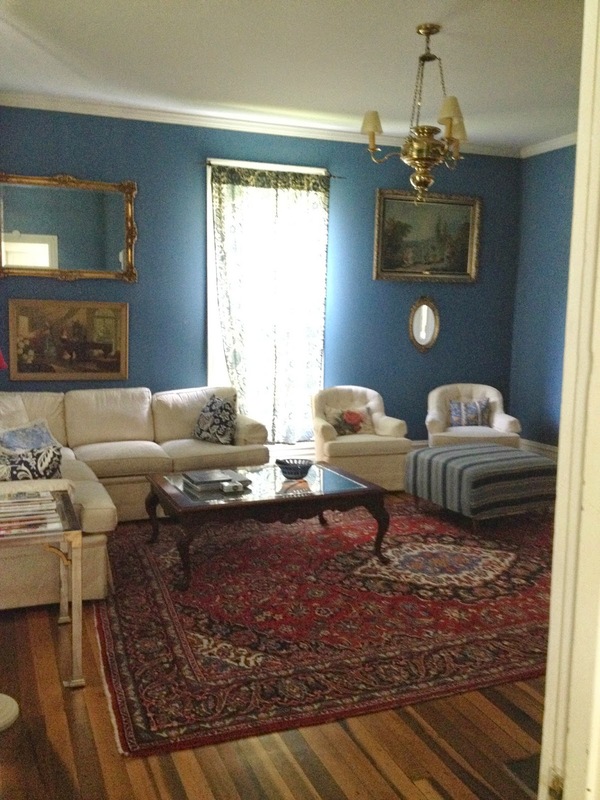 There are so many rooms in this house to relax. 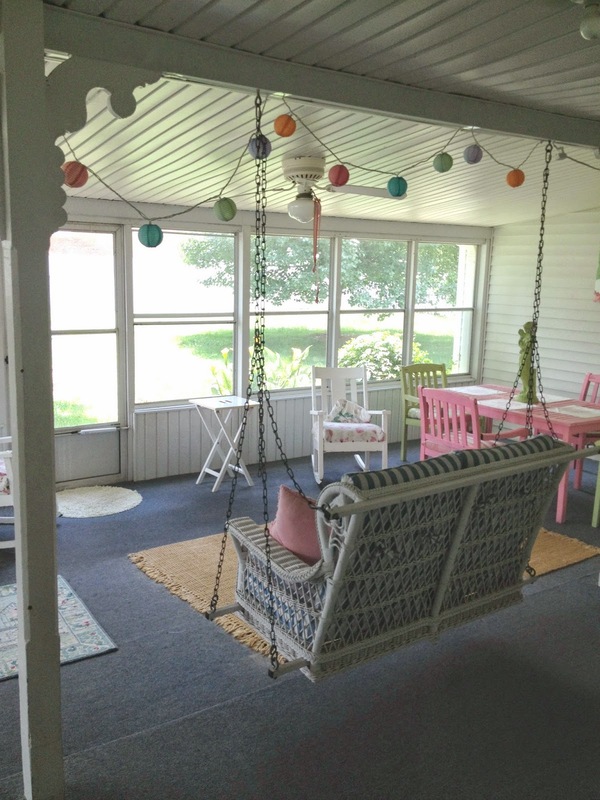 One of my favorite places is the covered porch. you can enjoy the outside breeze. A great spot to read and reflect. 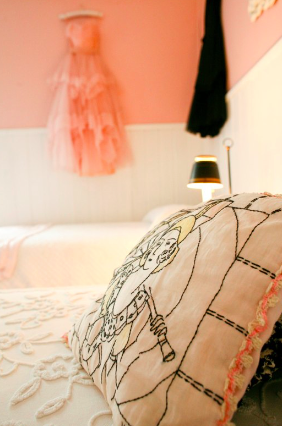 The overall feel of this Victorian Getaway is elegant & timeless while fun & current. It has been done well and remains a favorite place to go! 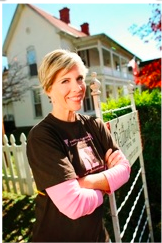 Here is the link to Petticoat Junction ~ Check it out! 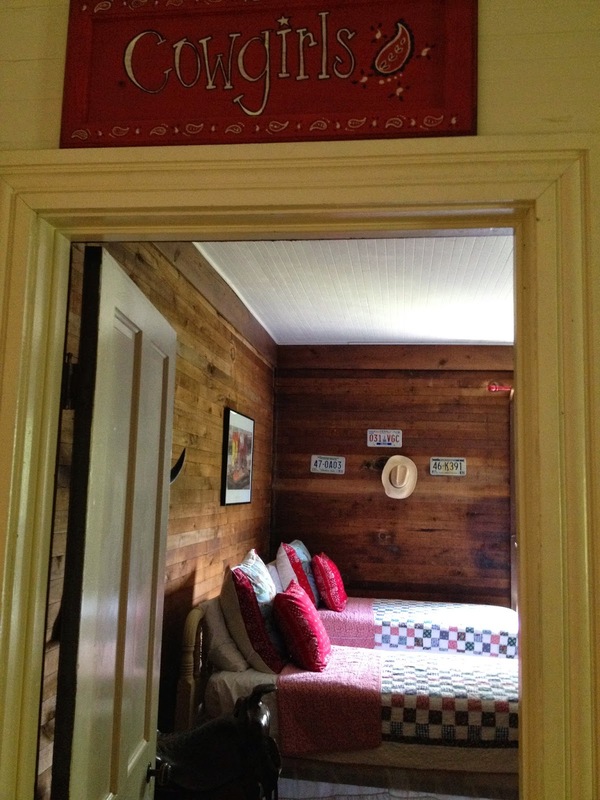 If you were to have a Bed & Breakfast, what would you name your rooms? Comment Below ~ I'd love to hear from you!